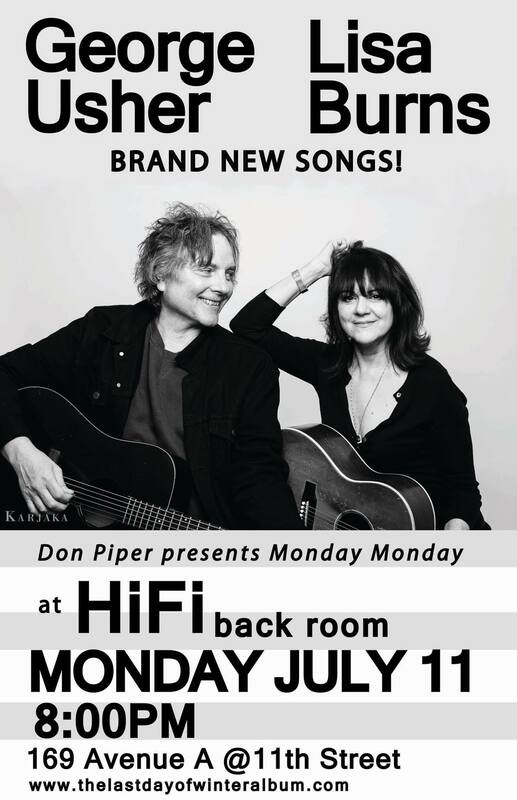 George Usher and Lisa Burns return to The HiFi Bar’s Backroom stage for Don Piper’s Monday Monday series at 8:00pm on July 11 to debut a set chock full of brand new songs, the first since their classic 2015 collaboration, The Last Day of Winter. Join George Usher and Lisa Burns for a rare New Jersey show at the Saturday Afternoon Song Swap, this Saturday, March 21, 4:30pm at Rock ‘n’ Joe of Millburn. They’ll be swapping songs with Malcolm Marsden, Nick Ciavatta, Terry Haman, and their good friend, Ed Seifert! George Usher and Lisa Burns will present a full performance of The Last Day Of Winter, with their band, on Monday, March 2, 7:30pm sharp at the Mercury Lounge, 217 East Houston. New York. 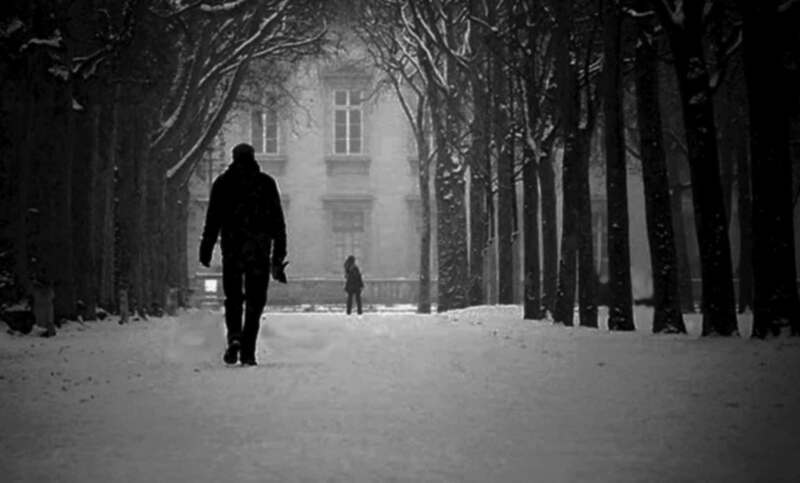 Special Deluxe CD copies of The Last Day Of Winter will be available for purchase. The Last Day Of Winter will officially be released on April 7. George Usher and Lisa Burns are performing an acoustic set as part of the International Pop Overthrow Festival on Friday, November 7, 8:00pm at Matchless in Brooklyn. They’ll be performing some George Usher power-pop favorites, along with selections from their song cycle, The Last Day Of Winter. It’ll be a whole evening of great pop! George Usher and Lisa Burns will present the first full performance of The Last Day Of Winter, with their band, on Monday, Oct. 13, 7:30 pm sharp, at Mercury Lounge, 217 East Houston, New York. Don’t miss it!